Macworld reader Matt wrote in with a terrific workaround that offers an approach much closer to what other readers were looking for: one copy of a Photos library set up with iCloud Photos that’s only thumbnails and stored on your internal drive, and a second iCloud Photos-linked copy that’s linked to an external drive. Matt’s idea relies on how macOS lets you create multiple accounts, each of which can be uniquely linked to an iCloud account. However, it’s also possible for two accounts or more to both link to the same iCloud account. Normally, you wouldn’t want this, because it would mean syncing the same data in two places on your startup drive. But with the way in which iCloud Photos and Photos for macOS works, it’s a nifty solution. Use iCloud.com to get the full-resolution size of your iCloud Photos library. 2. Next, create a second macOS account called, for instance, yourname plus photos, via the Users & Groups preference pane. 3. Log into that macOS account (optionally using Fast User Switching), open the iCloud preference pane, and log into the iCloud account used with your main macOS account and with iCloud Photos. 4. Hold down the Option key and launch Photos. 5. In the Choose Library window that appears, click Create New, and save the library on your external drive. Photos now launches with that empty library. 6. Choose Photos > Preferences > iCloud and check iCloud Photos if it isn’t already, and select Download Originals to This Mac. Your full iCloud Photos library will now download from iCloud.com, and this may take a long while if you have a lot of media and not super-speedy broadband. When complete, you have a full copy on the external drive. 7. Log out of the photos-oriented account. 8. In your main account, if you haven’t already, launch Photos and in Photos > Preferences > iCloud, make sure that Optimize Mac Storage is selected. 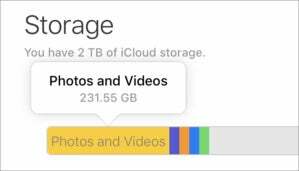 Now, whenever you want to ensure you have a full backup of your iCloud Photos library, attach the external drive, log into the second account, and iCloud will download and update any media that isn’t already present. This still requires some monkeying around, but it’s the closest thing to an easy way to ensure a local backup of iCloud Photos without working against how Apple designed its iCloud Photos synchronization. Thanks, Matt, for this excellent solution!